The importance of convenient health! Looking after your health and weight is not important, it’s critical! If your life is busy and you feel rushed most of the time, or if you don't like cooking or your diet and energy levels are a roller coaster of ups and downs then FitChef is perfect for you! 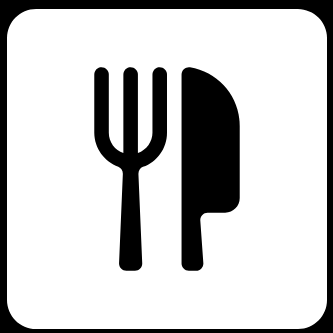 Healthy eating is actually simple “if you had good food you would eat it, so get good food”. FitChef Recurring Orders only take takes a few minutes to setup and it’s flexible, you can pause, delete or edit products or frequency at any time. Why does FitChef food make all the difference? Firstly, ingredient choice is critical, we’re just more obsessed with real food ingredients than others (Please compare our ingredient labels, this wasn’t an easy achievement). 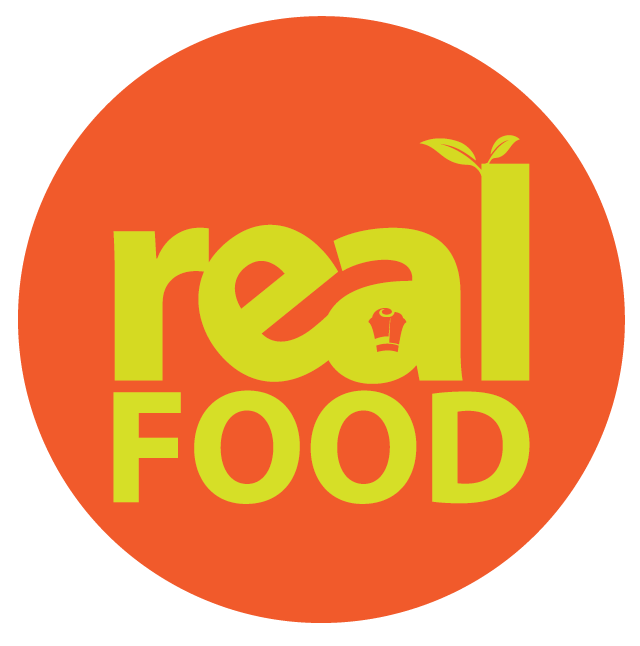 Secondly, our food doesn’t have fake, refined and chemical additives (#EatClean). Thirdly, if you had good food you would eat it and we’ve made healthy food more convenient than junk by supplying packages and Recurring Orders. Convenience is one of the main reasons why we chose what we eat, so make healthy eating convenient, don’t be forced to sacrifice quality for convenience when you are busy. 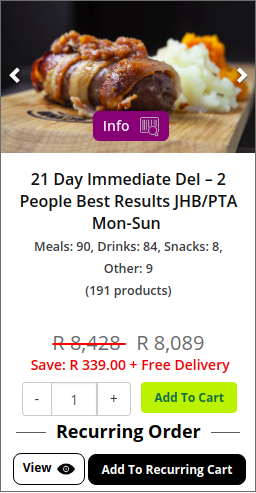 Have your food, smoothie and snack selection and delivery on autopilot and you could save time (30 hours/month) and many customers report saving up to R3000/month compared to the chore of physically shopping, preparing, cooking, washing and buying food on the run. How many meals do you eat a month? You eat approximately 93 meals/month with up to 30-60 snacks and drinks. It’s important to decide upfront what percentage of heathy food you need to live optimally, so that no matter how busy you are, you have enough quality food. What percentage of healthy food do you want? If life happens, whether you are away on holiday or a business trip or whatever the reason might be you can easily Edit, Delete, Pause or Cancel online at any time or just email or WhatsApp the customer service team. You will get email and SMS reminder before every transaction so we keep you in the loop at all times. Making healthy eating more affordable.